Our range of products include boom spike barrier controller, phase shift fan regulator, wifi rgb controller, pir motion sensor, touch remote switch and touch switch. 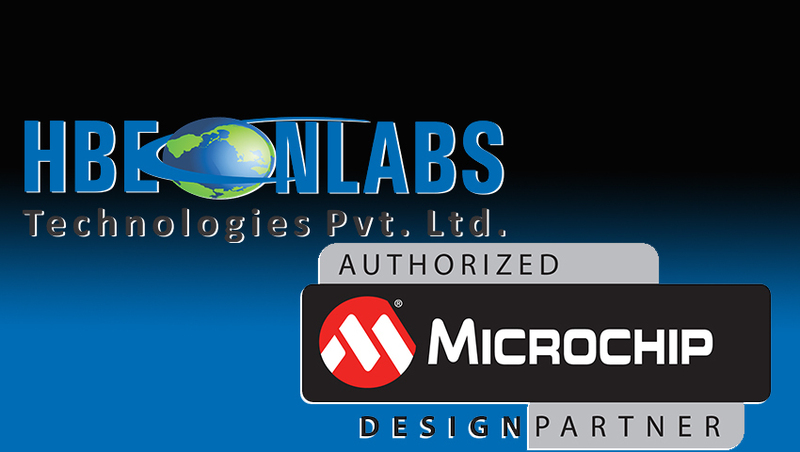 Brand Hbeonlabs Tehnologies Pvt. Ltd.
2 by 16 LCD display to display status of barrier and run counter the data has also been stored in non volatile memory,so no loss in case of power shutdown. 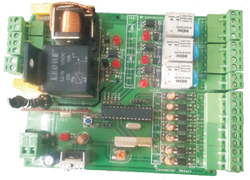 This is smart Microcontroller based Boom/Spike barrier motor driving controller card. Which is complete design, develop & manufacture in INDIA. 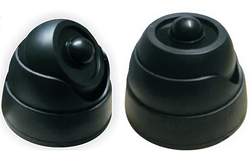 This product is design & manufactured keeping in mind the prevailing market trends with precise operation in filed. This control card has option to integrate beam sensor, wired & wireless keypad to control operation of Boom or spike barrier with limit switch. It have high current load capacity relay to drive motor & with individual relays for Buzzer, Flash light & Street light interface with card. 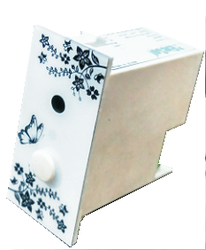 It has on board 433 MHz receiver which can easily program with any RF remote to control barrier remotely. With all these feature it have 16x2 LCD display to display status of barrier & run counter, counter information save in not volatile memory of controller. So after power gone it not delete or change. This is a Infrared remote control Phase Shift Fan Regulator board with four level of Speed with ON/OFF Function. Here Phase Shift principle is used to control speed of FAN, this principle is efficient for power saving when speed of fan is low, means when fan is running on low speed than power consumption is also low. This a low cost WIFI RGB Controller, to control RGB Led Strip of any RGB lights. It work offline so no need for internet connection to control your RGB lights color & its fade effect. It's a Smart controller with easy installation option. Multiple controller can control through single app at single click. -Work on WIFI Technology. -In build regulated supply. -12V DC operation of device. -Total Load drive 72Watt, each channel 24Watt. -Offline operation, means no need for internet. -Compact design with easy connection to any RGB LED Strip or Lights. -Multiple device can connect in same premiss & control through single app. -Multiple user can control single RGB controller, who are on same network. -Device support ten fading speed levels, when device is working on Auto Mode. -Device have In build Memory to remind its stage (On/Off) & Mode of operation with fade speed level. -UDP protocol supported with auto search option to configure device first time. -Device have reset switch to delete previous configuration detail store in controller. -Device auto connect with WIFI network after every restart with whom it configured once & if it do not found network than keep on searching to get connect with Led indication. -Device have LED to show status of controller.
. That device is configured or not.
. After device configuration device is connected with network or not.
. Device is in normal working stage or enter in reset mode. Delay OFF time is 20-Second approx. Bimetallic Relay to insure electrical switching. Easily install on wall with included screw sets. Microcontroller based circuit with High precision PIR Sensor. TRS This ia dual mpde operation modular switch, It can operate through Touch+Remote which is latch to it. It's a compact modular design with feature of USR & CTS. So if far from switch than operate through remote . It have ability to program with any NEC protocol supported remote available in market. So in single pack dual facility to automate your lights & Electrical devices. -Stylish modular design (Anchor Roma). .Easy installations of device. -Support load upto 800W. .Dual mode of operation Touch + IR Remote. -Capacitive touch functioning & Shock proof. -Easily replacement of normal Power Switch -In build Memory to remind its stage (On/Off). .Intelligent device with Auto/Force reset option. -In build Relay based solid state switching circuit. -Inbuild SMPS power supply source to drive complete circuit. 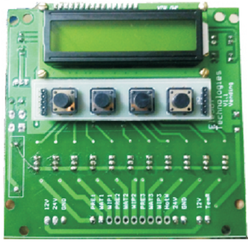 -Microcontroller based circuit for precise & error free operation. -LED indication for switch status On/Off & for Programming Mode. .Easy to configure with any NEC/RC5(Philips) protocol IR Remote. -Support 220V operated CFL, BULB & other light which able to connect with switch. CTS is a unique & Innovative Capacitive Touch Switch, which can be used in place of normal power switch. It can switch ON/OFF connected device by a single touch with LED indication in center. There are two types touch Switch available. -Stylish modular design (Anchor Roma). -Support load upto 800W. -LED indication for switch status On/Off. -Capacitive touch functioning & Shock proof. -Easily replacement of normal Power Switch -In build Memory to remind its stage (On/Off). -In build Relay based solid state switching circuit. -Inbuild SMPS power supply souce to drive complete circuit. -Microcontroller based circuit for precise & error free operation. .-Help in controlling power consumption. -Capacitive touch functioning & Shock proof. -Easily replacement of normal regulator/dimmer. -Color change of LED indicate working level of regulator. -Inbuild SMPS power supply source to drive complete circuit. -Microcontroller based circuit for precise & error free operation. -In build Memory which remind is stage & level of speed/dimming -Support 220V operated incandescent light, bulb & Fan. This is a Microcontroller based Vending Machine Controller, used with beverages vending machine. This product is design & manufactured keeping in mind the prevailing market trends and the requirements of our customers. This controller card have 3+1 drink option, three any drink & water. 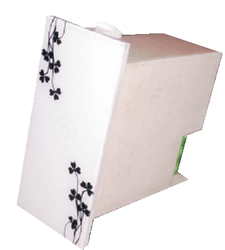 Complete card is design & manufacturer in INDIA at EleSof, so easy to design/feature change if required. This is a Infrared remote control fan regulator board with ten level of Speed with ON/OFF Function. Here Chopping principle is used to control speed of FAN, this principle is efficient for power saving when speed of fan is low, means when fan is running on low speed than power consumption is also low. -Ten Level of Speed with ON/OFF function. -On board SMPS supply for reliable operation. -Board operating voltage 24V DC. -Half/Full cup selection option. -Settable delay time for each load. -On board buzzer alert & indication. -In build water level monitor sensor to On/Off heater. -Microcontroller based design with precise operation. -Password protection to enter in setting change menu. -Controller will give alert if temperature sensor got fail. -Controller will give alert if fuse is blown due to any reason. -2 Line Alphanumeric LCD Display for display information. -Intelligent Auto flushing feature to clean vending machine. -Pulse mode coin mechanism interface - Optional MDB interface -Temperature control with heating temperature display over LCD. -On board Mosfet to drive motor with current rating of 45Ampere. -Easy to install & modified setting without any knowledge of programming. -Three canister Premix Based Hot beverage vending machine control board. -Counter option to check usage of machine with individual drink counter option. -Option of Enable/Disable temperature, coin detection, counter display & Auto Flushing -On board Leds for power indication, switching indication of Mosfet & for water level indication. LDRS is a unique & Innovative product for Electrical power saving, which can turn ON or turn OFF light by automatically according to ambient-light. Note Ambient-temperature and humidity can't affect. Power OFF delay time is 5-Second. Automatically light off at daytime and light on at night Built in light sensor which can identity day and night by itself Compact, reliable lighting control consists of Snap action Bimetallic Relay to insure electrical switching. URS is a Universal Programmable IR Remote Control Switch. Which have same look like normal Modular switch. So user just need to replace normal switch with URS to get its light/Fan or other device control by any IR Remote. -AC 220V operation. -Stylish modular design. -Support load upto 800W. -Easy to program with any remote by single click. -Tact switch to enter system in programming mode. -Universal remote control feature which support all IR remote. -Microcontroller based circuit for precise & error free operation. -In build Relay based solid state switching circuit. This is a Modular Wifi switch can be control through any smart phone & Tablets (Android/iOS). Compact design easily replace your exiting modular switch and you can control your appliances over internet. Easily configured with your Home/Office Network & control (ON/Off) connected devices through It. -AC 220V operation. -Support load upto 800W. -Easy configuration using APK. -Stylish modular design (Anchor Roma). -In build Relay based solid state switching circuit. -Tact switch to enter system in programming mode. -Microcontroller based circuit for precise & error free operation. -There is tact switch for manual operation & configuration of switch.